Weekly Standard editor William Kristol announced he no longer has an exclusive contract with Fox News and is now "free to inflict my insights on viewers of the other networks as well." Over the past decade, Kristol's "insights" have included horribly inaccurate predictions about the Iraq War, saber-rattling for war with Iran, dismissing legitimate military scandals, and smearing Democrats. Kristol Says He's No Longer Exclusively With Fox And Is "A Free Agent"
TED KOPPEL: Does it, bother you that it appears that it is going to be a largely unilateral policy? I don't want to diminish the influence of our British friends, but this is clearly an American policy. It's long since been time for the United States to speak to this regime in the language it understands--force. And now we have an engraved invitation to do so. The plot to kill the Saudi ambassador was a lemon. Statesmanship involves turning lemons into lemonade. 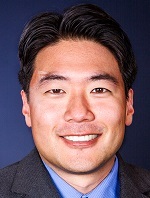 Eric Hananoki is an investigative reporter at Media Matters, where he has worked since November 2007. He graduated from The George Washington University with a bachelor’s degree in political science.